A flowchart is the visual summary of the decisions and flows that make up a procedure from beginning to end. It's vital in writing program and facilitating communication between computer programmer and customer. People usually use it to understand the logic of complicated problems. 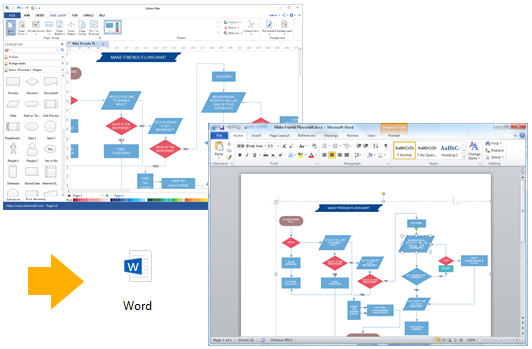 Make professional and compelling flowcharts for Word instantly. Try an easy to use flowchart software for Mac accompanied with ready-made shapes and flowchart templates. 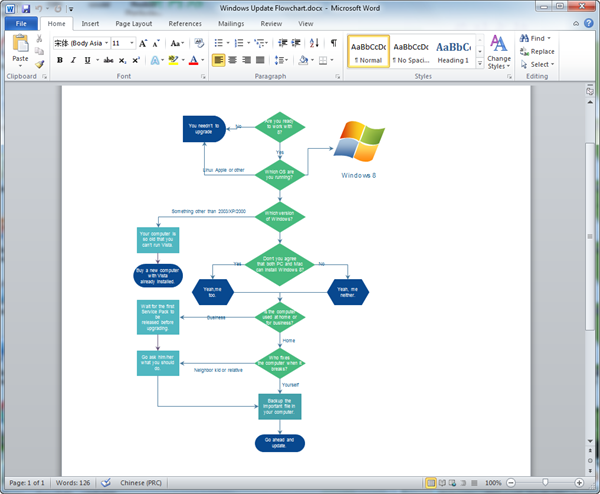 The software makes it easy for anyone to create visually pleasing flowchart for MS Word. This is hard to achieve if you only rely on Word. The drag-and-drop interface, point-and-click editor and advanced formatting tools have automated and simplified many parts of the design process. It's simple to use as well, because it has a similar users interface with Word. Finally, users can convert the flowchart to word format with one click. Enjoy! Read "how to create flowchart" to get detailed instructions. Here shows only the basic steps. Start Edraw and choose Flowchart in the Available Templates. Drag and drop shapes from libraries next to the canvas. Resize, recolor, or rotate them according to your needs. Connect shapes automatically by clicking floating buttons. Double click the shapes to fill in content. Personalize your flowchart and give it the suitable look and feel through Themes, Quick Styles, Titles, and Backgrounds. Abundant pre-made flowchart templates are offered to help users make professional-looking flowchart. 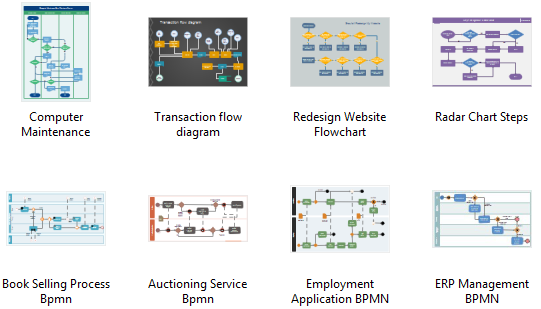 Everything becomes extremely simple with our flowchart templates. They are easily editable, high on readability and rich on visuals. The templates work in word versions from Word 2010 on.